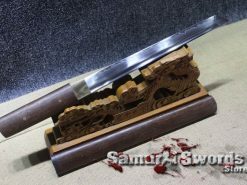 You are looking at a full tang double edge Tanto knife, the blade is sharp and fully functional. 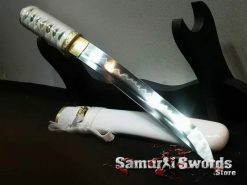 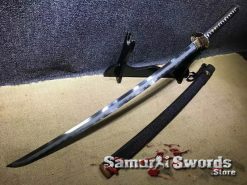 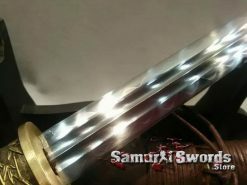 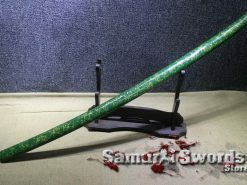 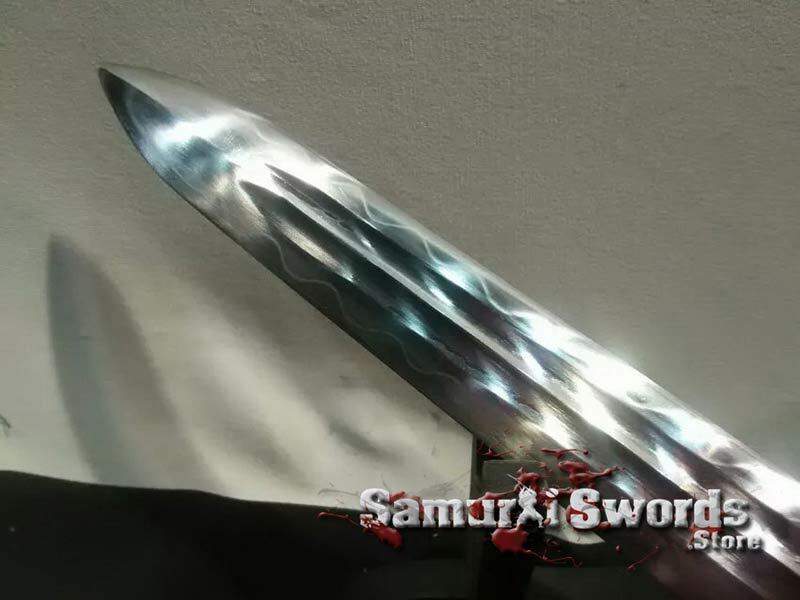 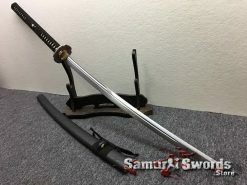 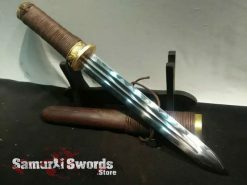 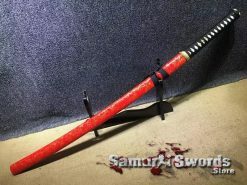 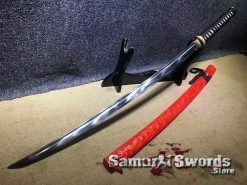 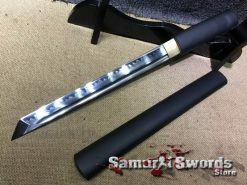 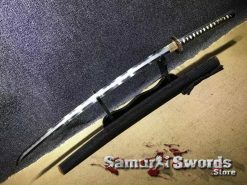 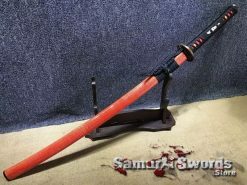 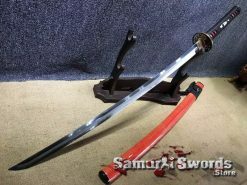 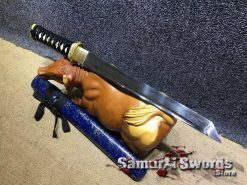 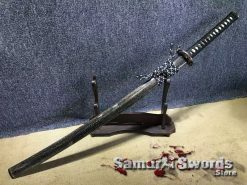 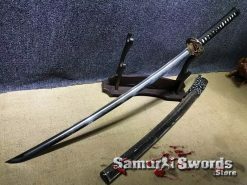 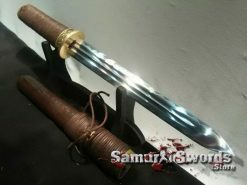 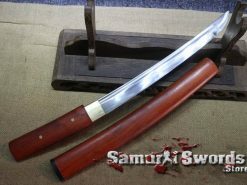 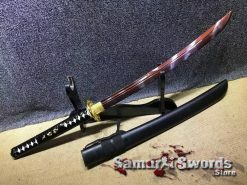 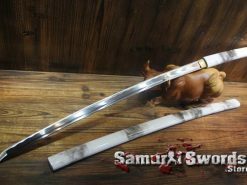 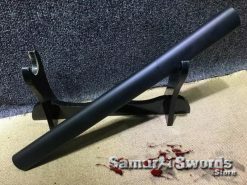 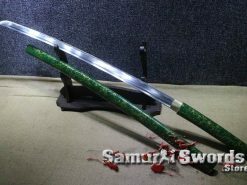 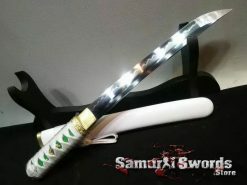 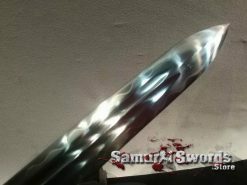 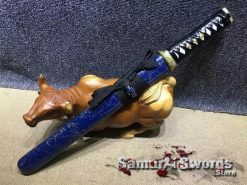 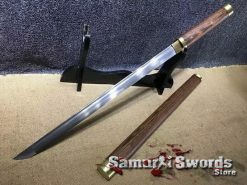 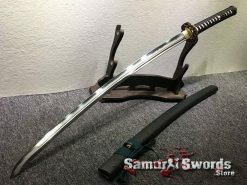 And has measurement of twenty-three centimeters while its width measures three centimeters; this Samurai Tanto is made from T10 Clay Tempered Steel. This type of steel is also referred to as High Speed Steel and is known to be more durable and tough compared to other carbon steel contents. 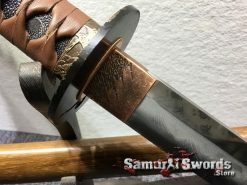 The clay tempering process or deferential hardening was done to make the Tanto blade more tough while its spine remains softer, allowing the blade to have more flexibility while also staying razor sharp. T10 Clay Tempered Steel contains 1% carbon and its edge features an HRC hardness of around sixty-two; it is tough enough to cut through a variety of objects, thus making it a good and solid tool for practice. 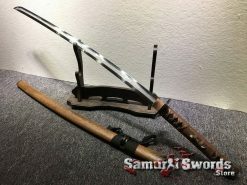 There is also the presence of a double blood groove which helps decrease the weight of the weapon while also adding a little more agility and quickness to it. 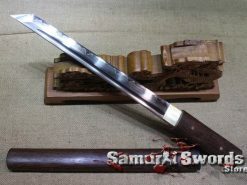 The weapon weighs less than one kilogram so it is a lightweight and convenient weapon to handle. The tsuka measures a total of thirteen centimeters in length and is thoroughly wrapped with brown nylon. 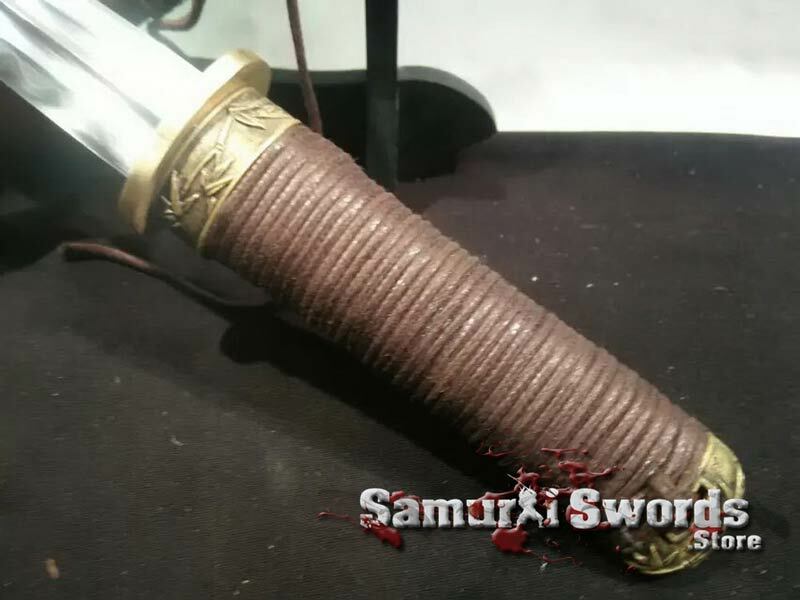 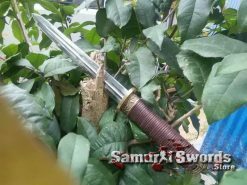 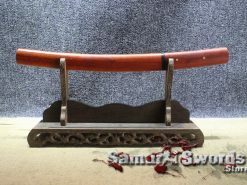 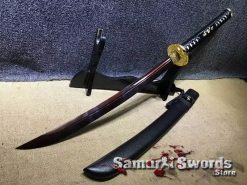 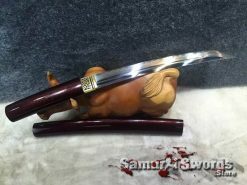 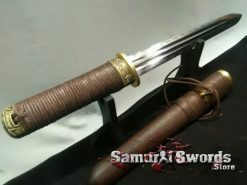 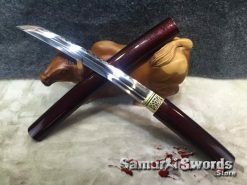 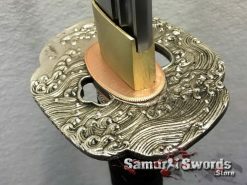 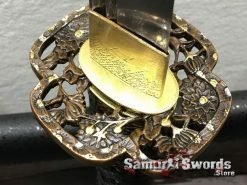 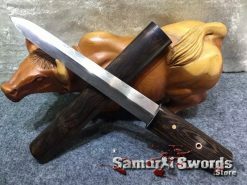 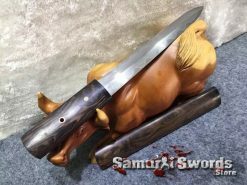 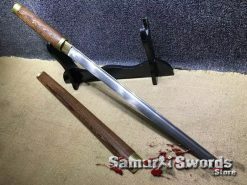 Its tsuba, fuchi, and kashira are all made from brass and this samurai Tanto comes with a saya that is made from fine rosewood and buffalo horn  elements that make the saya visually appealing and tough enough to protect the blade when it is not in use. 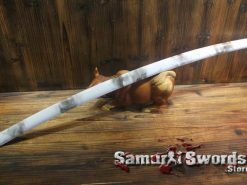 A rayon silk sword bag is also included.